The QUICKSTART button on the home screen opens the Quickstart workspace. 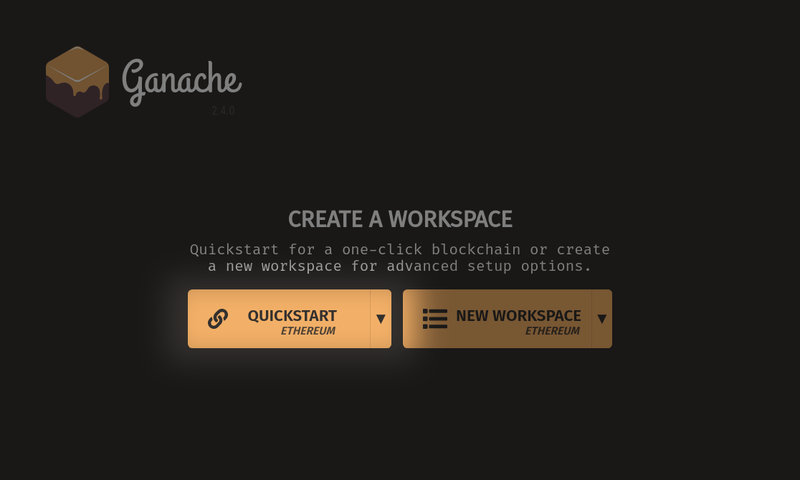 This workspace is similar to how Ganache 1.x worked: you get a brand new blockchain with a genesis block every time you open it. The Quickstart workspace is meant to provide a clean slate for prototype development.